Character and charm define this Cape Coral offering designed and built by Sun Country Homes- It is a split floorplan with bedrooms separated by living-formal dining and the kitchen between the living -formal dining and the spacious family room. You will appreciate tile and wood floors and the new kitchen appliances. The lush lawn and landscape are apparent. Pools and lanais are for relaxation. This one is particularly inviting. 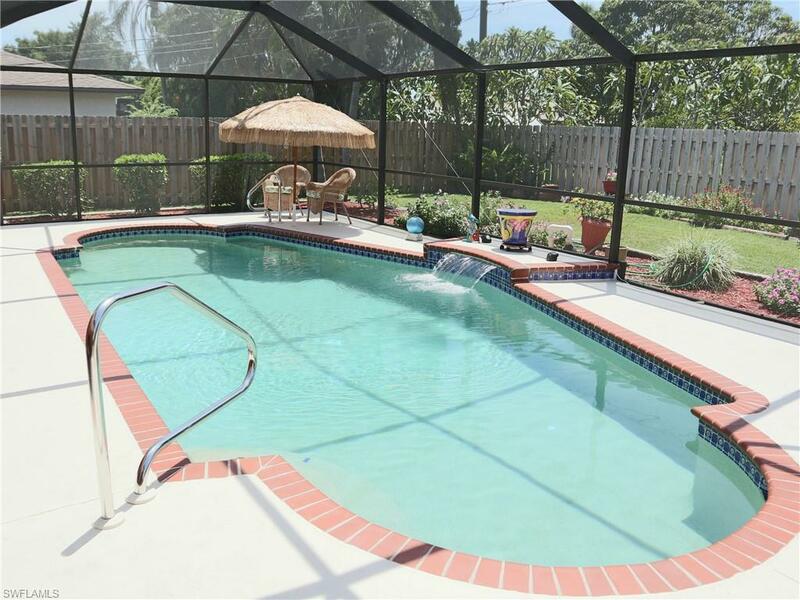 And from your pool lounger you will enjoy not only the view of the pool but a gorgeous fenced backyard. And did we mention the assessments are paid? Ask about the special financing.